Finally, TV makers like LG are thinking outside the so-called conventional TV box. 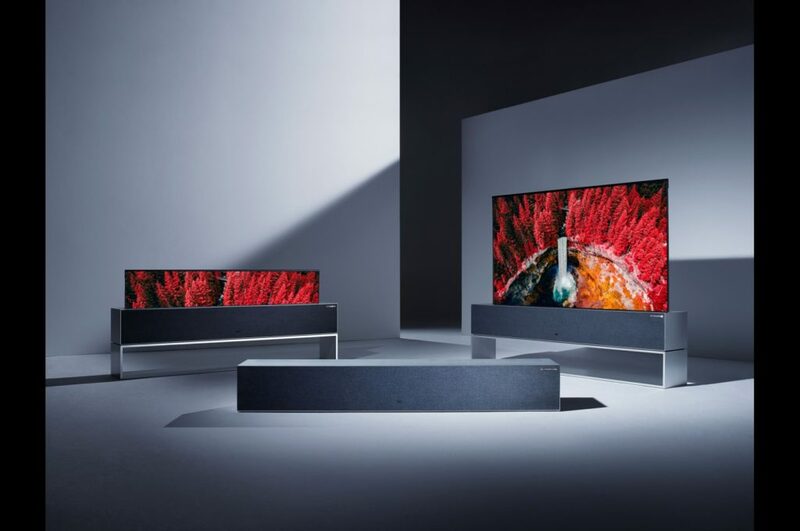 One of the most interesting TV lines unveiled during this year CES 2019, to many Pros, is obviously this new LG Signature Series OLED R. When tuned off, the screen rolls down and as you imagine, completely disappears, leaving a nice piece of furniture. The engineers at LG Display had figured out a way for the flexible OLED screen material to roll into a compact tube, just like a window blind, to disappear from view inside a box. If you turn the TV off, it is just a piece of nice furniture with brushed metal finishing. When power the TV on, the door slides back and the screen slowly rises out of the box. And there is a big TV. You can command the TV to be in “line view”, where it rolls back at 1/4 of its height. LG has designed this specially for home page of sort to show you navigation menu, clock, weather info, etc. 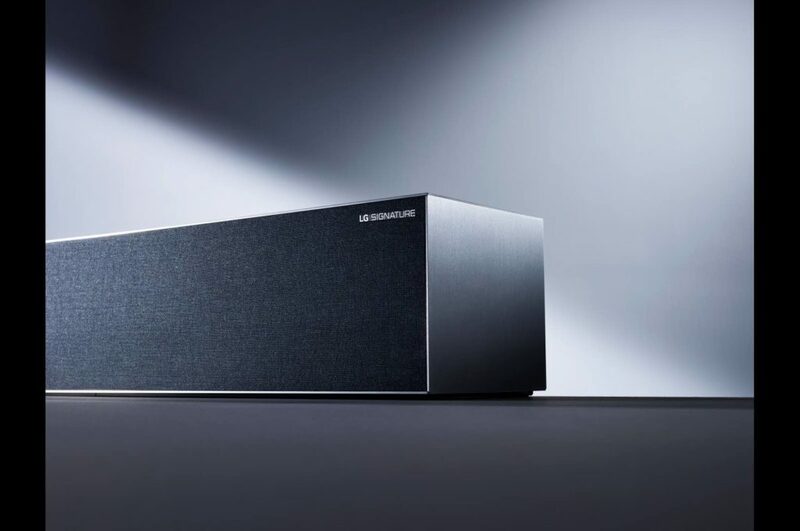 LG says it will actually sell a real version sometime in the second half of 2019 (In U.S.), and it will only be available in 65-inch size initially. 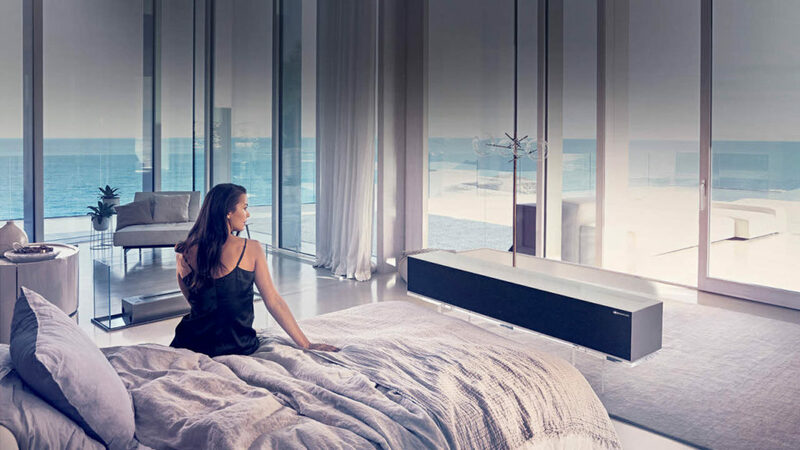 You can expect this to be very pricey but if you have big windows in a Thb 200,000+/sqm condo looking down at Chao Phraya river or central parks in Bangkok, this rollable OLED LG TV will pay itself off. For Thailand market, expect 2 years behind if LG Thailand will ever bring this model to Thailand market. If you can not wait, Exzel Smart Home (Thailand), an international professional home theater systems company, can import this from our branch in Florida, and have it professionally installed and maintained right on your site. Exzel Smart Home has helped our customers turning their ordinary living room into a nice multi purpose room, i.e., media room / living room / guest reception room in Thailand since 2005.